Most of us, especially those reading this article, have experienced moments of heightened awareness, and I am sure most of us have practiced some form of meditation, or focusing at some time. For some of us that is a daily practice for others it is sporadic. However, whether we actually take time out to go inwardly daily or not, most of our day’s are spent living a REAL life. 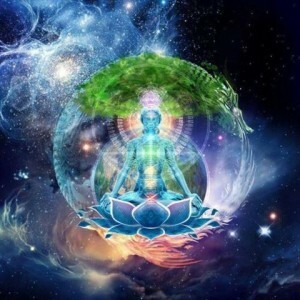 For most people connecting the daily life, the busy demands, the five sensory perception with the higher dimensions, which typically bring about a sense of HEAVEN on EARTH feeling is /or can be a challenge. Just recently during my dolphin swim seminar in one of our discussions when we discussed what actually makes us HAPPY. The prevailing answer was, that we as humans feel happy when we are sensing a connection to a higher dimension while doing whatever we are doing in our daily life. But how exactly can we create that intentionally? For whatever reasons, we have a very sophistical brain, although it is said to be only about 40,000 years past our Neanderthal stage, it has within it the capacity of refined perceptions, of heightened awareness, that simply needs training and attention. Certainly the age of our soul, or should I actually say the stage of maturity of our soul, will determine the brilliance and the intensity that we can reach, but EVERYONE can learn how to assemble awareness and make it a brilliant light that pierces through the veil. By habitually training our focus, our attention, to collect in a singular point of awareness we can form habits with in the neurological pathways of our brain to allow us to perceive and transmits impressions from yet subtler dimensions/frequencies that surround us. Once you start seeking the highest frequency that you can reach at any given moment in time, every single day, or at any part of the day, again and again, and let it only be for five minutes at first, it will eventually make you a master. In a way we need to create arut, a groove, habit,…A rut can be either a good thing or a bad thing depending on what habit we have into. Habitual times to go to sleep to wake up, when we feel hungry all help us to live more efficiently. Once we’ve practiced something, which we will eventually see that we have mastered something to a heightened degree. The same applies when we develop spiritual habits, spiritual ruts so to speak, grooves, that direct our thoughts as well as our subtle bodies into our desired direction. We can use many different ways of becoming aware of the subtler dimensions. However it is best to aim towards the center of our soul, and towards the center of ALL that IS, into God, or the center of the universe, that will bring about the highest and fastest results. One can become absorbed in becoming increasingly sensitive to the astral dimensions surrounding us, but in the end what will actually bring greater results is a diamond like focus of our soul that is connected with the source, that is so to speak God-struck. This inner alignment and the focused attention into the singularity of all that is give us access and the brilliance in our beingness of immeasurable portions. To create any kind of a habit it is easiest if you find out what would make you want to do those things naturally, utilizing your natural personality trends. For example for myself, being a Gemini, loving communication and connections, I have found that a committed time every single day where I meet with a number of people in meditation is a good CARROT for me to be excited about sitting down, going into silence, and spiraling into the highest dimensions I possibly can muster up. If you love music, you may want to set aside particular time of day to listen to very uplifting music, while you practice your ability to focus your energy into heightened realms. First you can imagine, free envision your daily One Life in a heightened format, envisioning geometric glowing light blinds penetrating your workspace, your life space, your relationships. Or you can envision any form of increased and heightened presence around yourself, within your relationships, and with time you can take your focus to a heightened point above yourself, leading you the closest you can to the center of the universe, to the go to The Source, encountering The Source, and later on you can do these types of exercises with your eyes wide open, while you are engaging, speaking, interacting with physical world. Your neurological pathways will have been established so strongly, that you can simultaneously perceive the subtle dimensions as well as the gross dimensions. At that point you will be able to activate your presence within the finer dimensions while keeping your consciousness located within the heightened reality, and you can still function efficiently within all the five cents three-dimensional world. Of course this is an ongoing practice, the art of living spiritually, where the subtle dimensions are simultaneously activated within your consciousness as well as the perception of the denser dimensions, for which our five senses are mostly geared towards. However you will start noticing that the light around you, the beauty of the things you behold with your physical eyes will start glowing with an increased brightness, with an increased beauty. You will start noticing that you will expand your time to, you will know things in advance, coincidences will continuously increasing your life, and deeper sense of satisfaction will prepaid every action you do from within this heightened state of living. I believe our journey here on earth is to live in Heaven on Earth, and the rewards are felt by the degree of happiness that ensues from within . « Electro Magnetic Fields and how they affect you!